The program begins with the presentation of the 2018 Banff Mountain Book Competition awards. Between sneaking illegally across Tibet, studying the history of science and exploration at Oxford, and staring down a microscope for a doctorate at MIT, Kate Harris has realized that explorers are unconventional. Weaving adventure and reflection, Harris explores the wildness of a world that can never be fully mapped – as she sets off by bicycle down the Silk Road in her latest work, Lands of Lost Borders. Presentation followed by film in competition. Book this event as part of the Festival Passport and save $2 per ticket. 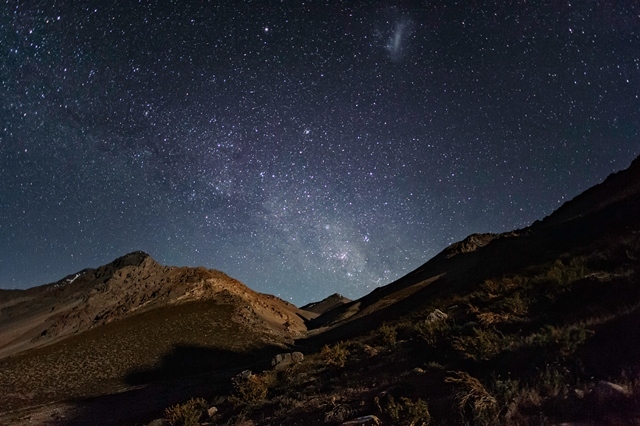 Drifting between the spirituality and science, Cielo is a cinematic reverie on the crazy beauty of the night sky, as experienced in the Atacama Desert, Chile, one of the best places on our planet to explore and contemplate its splendour. It’s a thrilling night not to be missed! The international film jury announces the Mountain Film Competition award winners and will re-screen many of the winning films.